Hi! 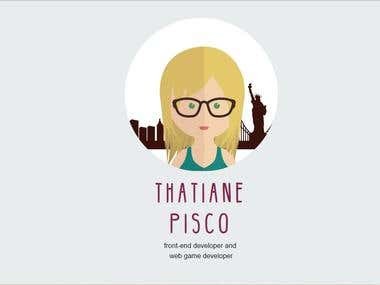 :) I'm a brazilian front-end engineer based in London. I am bachelor in Digital Media and Communication and technologist in Digital Games. For the past 8 years, I have been working with games and e-learning for multinational companies such as Liberty, Red Bull, Santander, Unilever and some based in Brazil like Globo, Itaú, Monsanto, Oi, Vivo and others. Learn about new technologies of development is one of my passions.